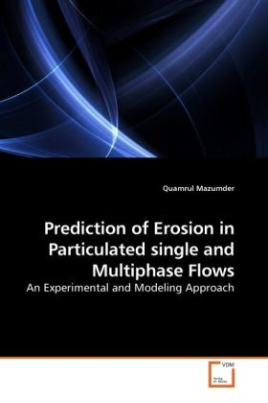 Erosion in multiphase flow is a complex phenomenon due to existence of different flow patterns. The complexity of erosion increases significantly with entrained sand particles in the flow. Entrained sand particles in production fluids can severely erode pipes and cause failures creating potential safety risk for personnel and environment. A mechanistic model to predict erosion in multiphase flow has been developed in order to understand and evaluate the effect of liquid and gas rates on erosion results. The model uses sand particle velocities in the liquid and gas phases separately in calculating erosion in multiphase flow. The experimental erosion results for elbows were compared with the model predictions showing good agreement. Local thickness loss measurements were made in elbow specimens to determine the location of maximum erosion at different liquid and gas velocities. Thickness loss measurement showed the erosion profile in the elbow specimen and location of maximum erosion in elbow specimen.